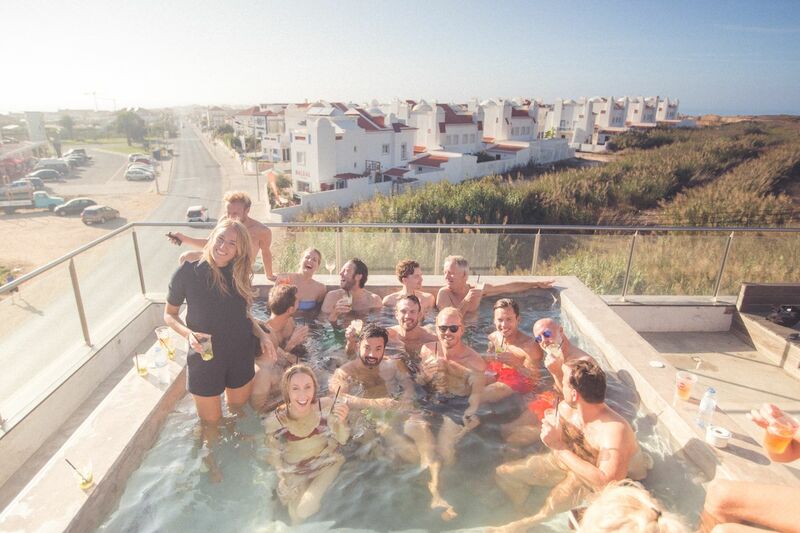 Surfers Lodge Peniche is the perfect place for your next company retreat. 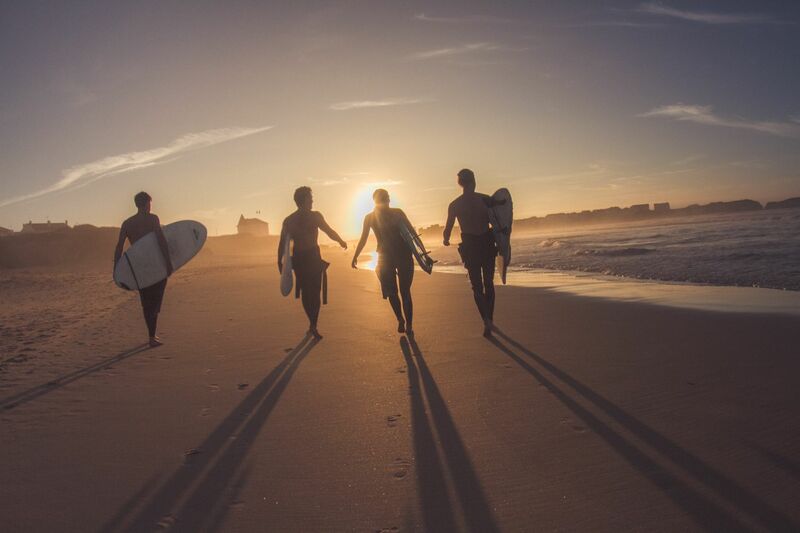 Surfing is a great team building activity: learning something challenging in a new context will create strong bonds and foster a supportive spirit. Other available activities include Golf, Tennis, Yoga and Tours. Also feel free just to hang out and relax together. Enjoy all or some of your meals in our restaurant; menus can be customized. Contact us for information about our group packages or to create your own! We are happy to work with Personal Trainers to host Training Camp Events at the Lodge. Naturally, surf is a part of the curriculum, as are trips to the local gym. Past groups have used the abundant natural space around the Lodge for outdoor yoga, trail running, and other open air activities. We can tailor a set menu for your group, making sure attendees receive maximum nutrition to make the most of their stay. 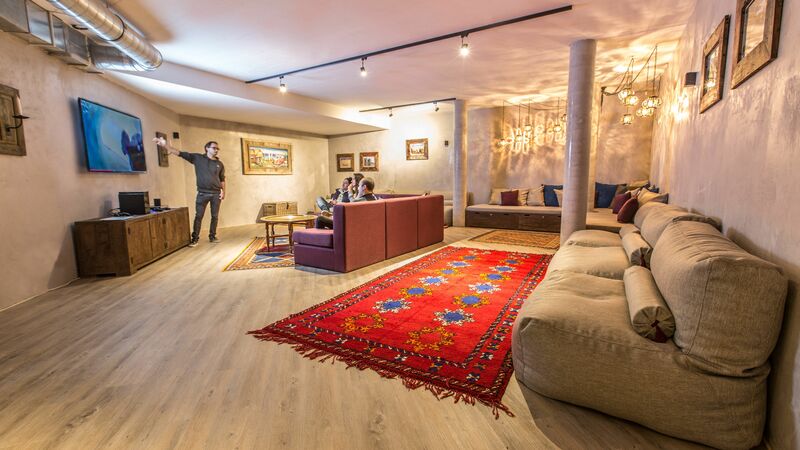 We welcome yoga studios or teachers looking for a space to hold Surf + Yoga retreats. Work with us to create a program specific to your vision, incorporating surf lessons and special menus as desired. 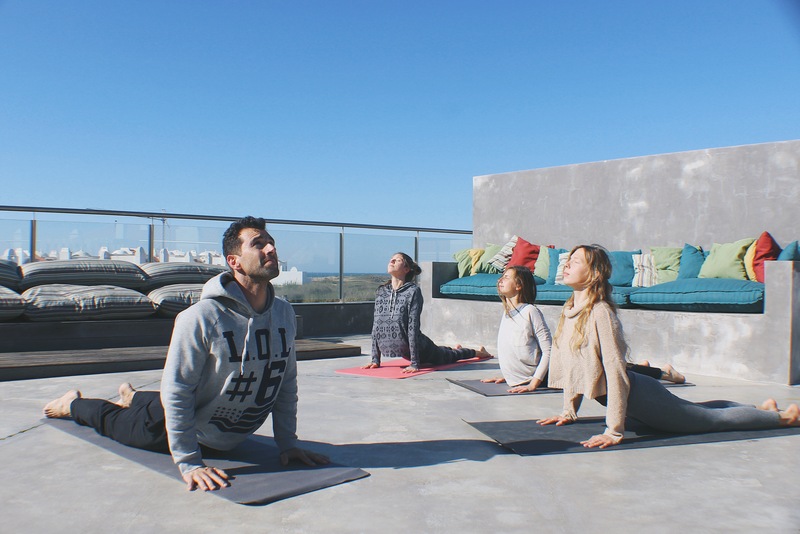 Yoga classes can be held indoors or outdoors, depending on the weather. Mid and Low Season are best for group retreats, as we can be most flexible and attentive.